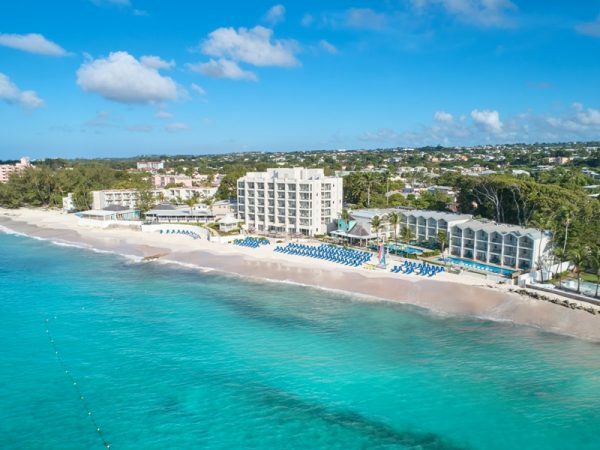 Settlers Beach is situated on the idyllic western ‘platinum’ coast of Barbados amongst 4 beautiful acres of landscaped gardens, with the beach mere steps away. This hotel is a unique offering, allowing you to have the space and privacy afforded by your own luxury Caribbean villa, with all the facilities and amenities of a hotel – all on the tropical island of Barbados. With 22 villas as part of the resort, Settlers Beach is a boutique offering, and is perfect whatever the requirements – a family holiday, romantic retreat or even special occasions such as weddings and honeymoons! The staff is always on hand to make sure you enjoy your stay, as you make the most of the freshwater swimming pool, white sandy beach and the sparkling blue waters of the Caribbean Sea. Located in St James, the resort is in easy walking distance of Holetown and Sunset Crest, where there is a wealth of shopping opportunities and other services. There are wonderful shops with both local and international products, and Chattel Village is perfect for enjoying a cup of coffee and watching the world go by. Speightstown is a short taxi ride away and offers more retail therapy. Further south is the buzzing island capital of Bridgetown, which can be reached by a complimentary shuttle bus service from the hotel operated by Cave Shepard – enquire at reception in advance. A great hotel and a true hidden gem on the island, Settlers Beach will have you returning again and again. With villas and apartment accommodation on offer, the resort offers guests great levels of privacy and comfort. Arranged in a horseshoe shape and all set in a pool or garden setting. Tastefully decorated, the villas have two bedrooms with en-suite, air conditioning and a number of amenities as standard. They have spacious living and dining rooms and fully-fitted modern kitchens. Bungalow – single storey villas with a courtyard area connecting the two en-suite bedrooms to the living & dining areas and the kitchen. Townhouse – two storey villas with interconnecting bedrooms on the second floor, and the main living, dining and kitchen areas downstairs. Two of these accommodations are beachfront. All of the villas have two entrances, a parking space and sun loungers on a dedicated garden area. Spargo – A fine Italian restaurant offering a selection of traditional dishes, pizza and pastas incorporating meat, seafood and vegetarian options. Set on the waterfront, it has a great setting for guests to enjoy. Open for breakfast on request, lunch and dinner by reservation. There is also a daily bar menu. Out of hours service may be available, contact the restaurant directly. Dress Code – cover-ups are expected at all hours for drinks or food, and the dinner service is casual but full dress is expected, including shoes. Thursday night is the manager’s cocktail party. A number of rejuvenating treatments and massages are available and are provided in the comfort of your own villa. These range from massages to facials, scrubs, manicures and pedicures. 24 Hour notice is available for 2 or fewer people, and 48 hours for more than 2 people. A number of wedding and honeymoon packages are available at Settlers Beach, please call or email us for details, prices and inclusions.